Are you in pain? Give us a call, and we’ll see you today during office hours, even if you aren’t one of our current patients. Hours for both our Tulsa office and our Glenpool office are Monday through Thursday, 8 to 5, and Friday 8 to noon. Emergencies need prompt attention. Tulsa emergency dentist Dr. Noah will perform a simple, temporary solution to alleviate the pain on the spot or prescribe you antibiotics to clear up any infection. This will give you the time needed to discuss further and more permanent options with the doctor. The goal is to make sure that any immediate pain or discomfort is reduced quickly in order to make you as comfortable as possible. 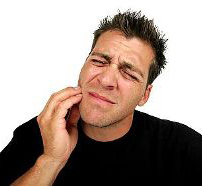 For a Toothache – A toothache is usually a sign that your tooth is infected. Many think that antibiotics will solve the problem, but it’s very important to come into the office because an infection inside your tooth requires treatment. A root canal treatment is typically the permanent solution that is required. To learn more about what to expect, please visit our root canal treatment page. For a Broken or Chipped Tooth – When you break a front tooth, it is more of an appearance-related concern. When you come in, we can repair the tooth temporarily. Then we can answer any questions you may have and help you to determine the treatment that is right for you. A broken back tooth may not be as urgent as a front tooth, unless you are in pain. For a Lost Crown or Filling – Often times a crown of filling may simply need to be re-cemented. But it is important that you act immediately if you have lost a crown. After only a couple of days your teeth may shift slightly causing your original crown to no longer fit. If the problem is a lost filling, a simple replacement may take care of it, but there could be additional decay that contributed to the loss of the filling. For a Knocked Out Tooth – You want to call into our office immediately and if possible bring the tooth with you. If you can get to our office within a half hour, there is a chance that the tooth can be saved. Place the tooth in a moist (not dripping wet) towel or a cup of milk and do not clean it. Don’t delay! Give us a call now at (918) 742-5521 to schedule your Tulsa emergency dentist appointment. Often times all it takes is a quick, couple of minute procedure to relieve your pain.